Dr. Nicholas Marciano attended Fairleigh Dickinson University in New Jersey as an undergraduate. After graduating with a Bachelor's of Science, He attended University of Pennsylvania Dental School in Philadelphia, PA where he received Doctor Of Dental Medicine. Dr. Nicholas Marciano began practicing in 1985 in New Jersey. 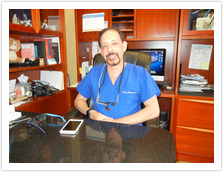 Dr. Nicholas Marciano is committed to providing excellence in dentistry, and stands out as a leading dentist in Bonita Springs. Marciano Dental Group uses the latest in dentistry techniques to provide you with a beautiful and healthy smile. Dr. Nicholas Marciano believes strongly in education to prevent oral health problems before they occur, and makes sure to keep patients fully informed about their dental health.